As I write this article, a frigid Arctic air mass is parked over the eastern United States, from the Canadian border all the way to mid-Florida. Unusually low temperatures and snowfall, icy roads and power outages have resulted. While this weather condition of course affects the general population, putting people in harm’s way and threatening their lives, it also affects marijuana growers and their livelihood. The cooler months of the year — from October to April in most Northern Hemisphere locations — are generally the favored months for indoor marijuana growers, because high heat generated by indoor grow lights is a benefit rather than a curse during cooler months. Grow light heat doesn’t create air-conditioner overload as easily if at all during colder weather. And in some cases, it can be used to heat part or all of the larger building in which the indoor grow op resides. I’ve written before about living in my indoor grow room. Although it can be done during warm months, it’s particularly useful during winter because you get grow-light heat and those sweet, sweet light wavelengths that duplicate the light spectrum and intensity you’d experience at noon on a typical summer’s day. This is particularly useful for people who suffer with seasonal affective disorder. Of course, that kind of sun-duplicating grow-room light is only available when you’re using high-quality grow lights. If you’re using cheap HID bulbs, fluorescents, inferior LED lights or poorly engineered hydroponics ballasts, you might not be seeing the light spectrum and intensity that duplicates sunlight and thus creates the best photosynthetic response in your plants. 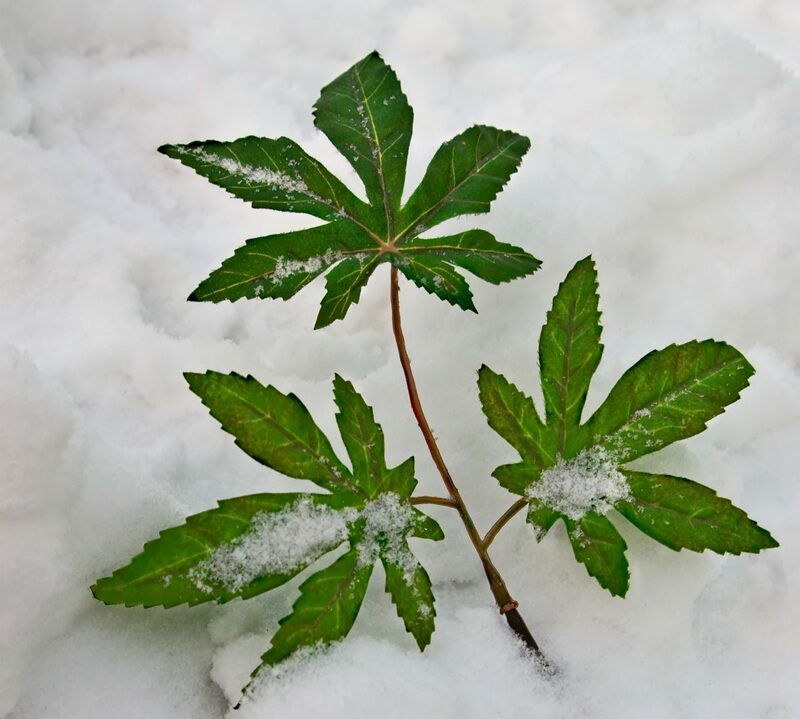 There are important nuances of winter marijuana growing that we should all be aware of. One of them is that your marijuana plants prefer a specific range of temperatures when the grow lights are on, and also when they’re off. This perfect temperature range depends on whether you’re adding carbon dioxide (CO2) to your grow-room air. If you’re not adding CO2, the ideal temperature range is 73–76° Fahrenheit. If you’re adding CO2, the ideal range is 74–84°F. Some growers using augmented CO2 let their rooms get even hotter, but I don’t recommend this because it creates problems with water requirements, nutrients cycling and vapor pressure deficit. Temperatures past 84°F may also create favorable conditions for cannabis pests. If your grow-room temperatures are too low during lights-on cycle, your plants have a harder time running photosynthesis, taking in nutrients, and building plant tissue. One good way to avoid excessive, harmful plant stretch, especially with some strains in the first 1–3 weeks of bloom phase, is to have lights-off temperatures that are 3–4 degrees lower than average lights-on temperatures. As explained in this article about how to stop plant stretch without using paclobutrazol poisons, the tactic is a clever modification of a misguided, unwise tactic commonly used by growers, which is to have lights-off temperatures 5–10 degrees lower than lights-on temperatures during the first three weeks of bloom phase. Indeed, recent research has found that the 5–10 degrees variation encouraged rather than discouraged plant stretch, and that the 3–4 degrees variation did in fact decrease plant stretch. Plant stretch is natural, but excessive stretch makes plants too tall for grow rooms that are less than eight feet in height. It’s especially unwanted if you’re growing in a grow tent, closet or grow chamber. Plant stretch is also problematic because it’s often accompanied by long internodes, which are the spaces between leaf and bud clusters. In early bloom phase, they appear as open stem. If you have too much stretch, the plant has wasted energy and resources building extra stem, and that stem will not be filled all the way, if at all, by bud development. The extra stem and longer internodes often make for gangly, unstable plants that must somehow be supported. Those long, thin stems often tend to bend or break if thick buds develop. So, one main thing to take away from this section of our winter marijuana growing discussion is to control your lights-off temperatures so they’re 3–4 degrees less than lights-on temps. Temperature is also a key factor in the health, efficiency and function of your marijuana roots. In some grow rooms, cultivators use chillers and/or aquariums in their hydroponics reservoirs to keep their nutrients solution at 66–68°F. Studies have shown that this is an optimum temperature for root function, nutrients absorption and root zone health. Warmer root zone temperatures create conditions favorable for root-zone diseases such as root rot. They also make it much harder for roots to intake moisture, oxygen and essential nutrients elements. Conversely, if root-zone temperatures are too cold — say, below 64°F — it can also create conditions favorable for root-zone diseases and also make it difficult if not impossible for roots to efficiently take in moisture, oxygen and essential nutrient elements. The cold root-zone temperatures are relevant to this discussion of winter marijuana growing. Too-cold root-zone temperatures are a hidden problem in some grow ops and often occur in grow rooms that don’t have dedicated heating and air conditioning units to create precise temperature control. The problems occur mostly during lights-off, when temperatures plummet. Typically, the grower isn’t usually in the room during that period. The root zone can become very cold indeed, especially if the grow room is located in a basement or on the first floor of a house without carpet and that has a concrete foundation, with the plants in direct contact with the chilly floor. When the root zone is too cold, the roots might be physically damaged. If the marijuana grower uses inferior base nutrients, the nutrient elements in the root-zone media (or in nutrients solution if the grower is using pure hydroponics, such as deep water culture or aeroponics) might drop out of the solution or become otherwise unavailable and/or negatively altered when root-zone temperatures are too cold. Although lights-off cycle isn’t a time when your marijuana plants are maximally using root function, too-cold root temperatures are a detriment regardless of when they happen. Symptoms of a drop in root-zone temperatures include leaves that lose their turgor and become wavy and partially limp, slow growth or no growth, a noticeable decrease in terpenoid bud scent, nutrient deficiency symptoms, and weak stems and stalks. Fixing the root-zone coldness problem might be as easy as placing plant heat mats (get the thermostat-controllable version) under the plant pots, or using bricks, thick rubber mats, or some other spacer to get the plants off the cold floor. Also, be aware of grow-room temperature differentials. High up in the grow room, the temperature might be several degrees warmer than low in the root zone. This is obviously true during lights-on cycle, unless you’re using air-cooled grow lights that immediately remove bulb heat from the grow op — but, really, it can happen anytime. For example, if you have whole-house heating or even a heater as part of a room air conditioner, heat rises and will gather in the top half of the grow room, leaving the bottom half too cold. It’s always essential to have effective grow-room aeration that mixes your air, top to bottom, to dilute inversion layers and temperature segmentation; such air mixing is essential during cold weather. You might have to add a room heater to your grow room, but if you do, make sure it has precision temperature controls. Some cannabis growers, if they aren’t already using a dehumidifier in their grow room, will do so during cold weather because dehumidifiers produce heat and also control relative humidity levels. The control of grow-room humidity is essential all year round, but especially during colder weather when high humidity is likely to occur, creating conditions favorable for gray mold and marijuana pests. If grow-room temperatures are too cold even during lights-on cycle, a grower using cooled lights should disable the cooling system and leave that grow-light heat in the room. They could also add a fossil-fuel-powered CO2 generator to the grow room. CO2 burners generate heat and humidity along with CO2, which means a dehumidifier will probably also need to be installed, and the dehumidifier will generate its own heat. The goal is always energy efficiency combined with ideal grow-room temperature. When using appliances like CO2 generators and dehumidifiers that are useful while at the same time adding essential heat to the grow op when needed, you double your value. Another tactic for successful winter marijuana cultivating is to grow cold-hardy marijuana strains. Later we’ll be publishing a detailed article about specific cold-hardy strains, but given that we’re only at the start of January, it might be too late to take advantage of the list this year (unless you’re reading this from the Southern Hemisphere). When the next cold season comes around, you can plant these tougher strains that have genetics more amenable to colder temperatures. In general, cold-hardy marijuana strains are those that have predominantly Afghanica and Kush genetics — genetics that originate high in the Hindu Kush mountain range or in the high-elevation, brutally cold plains of Pakistan and Afghanistan. These strains by their very nature are adapted for cold weather, especially at night. The last thing I’ll mention is that extremes of winter climate change can be just as devastating as summer climate extremes. 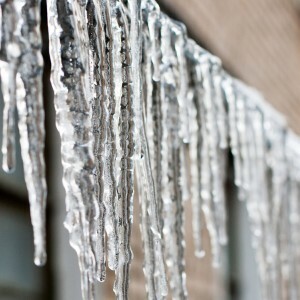 Severe cold weather can create power outages, block roads, bring trees down on your house, make travel impossible, and create other hazards for you and your marijuana plants. Given that climate change disasters seem to be happening more frequently — whether it’s fires, hurricanes or record snowfall — prudent marijuana growers have a season’s worth of nutrients, grow lights, and other supplies on hand at all times. 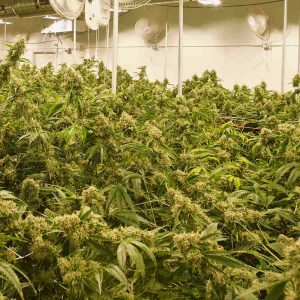 If you get trapped in your grow house by winter snow or some other catastrophe, and you have an ample cache of growing supplies, your marijuana won’t suffer because you’re cut off from the grow shop. Cannabis growers should also have a generator hooked up to power their entire house, should the energy grid collapse, and enough fuel to keep the generator running for at least a month. You also do well to engage in plant armoring. This means feeding your plants Rhino Skin (which has potassium silicate) to strengthen their internal and external cells, and assist in structural integrity. It also means providing your plants with beneficial bacteria and fungi, along with carbohydrates, so their roots are armored and enhanced. Hydroponics supplemental products including Voodoo Juice, Piranha and Tarantula boast beneficial microbes made specifically for cannabis roots. I also recommend dosing your plants with Microbial Munch and Bud Candy, which contain carbohydrates that boost plant metabolism, and also contain nutrients elements (such as magnesium and iron) that fuel plant growth and bud development. These supplements feed beneficial microbes, but also create tastier, faster-maturing buds with more terpenoids and cannabinoids. 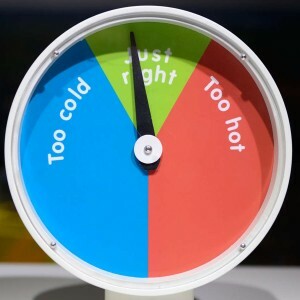 Yes, there are inherent hardships when growing cannabis in cold weather, or in hot weather for that matter, so you’d do well to monitor your grow-room temperatures from top to bottom while using your newfound knowledge to give your plants ideal temps, no matter what the weather is doing outside your grow room!